The club would like to remind you that snowmobiling is an outdoor activity and you should be prepared for anything while on the trails. Changes in weather, mechanical malfunctions, etc. When you join a local snowmobile club, that is a member in good standing with the SANS, you and your family automatically become members of the SANS. 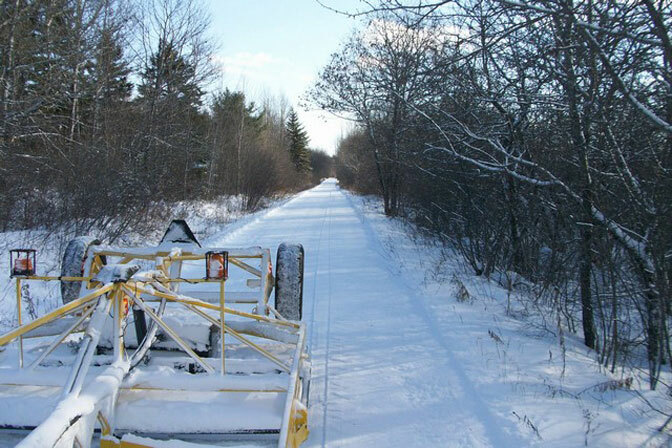 SANS benefits are available to all members as well as to each snowmobiler who purchases a SANS trail permit. Snowmobiling is a great family sport and appeals to people of all ages. It is a form of exercise, stress reliever and is found to offer a means of good mental health. Although the snowmobile is a relatively simple vehicle to operate, its simplicity and ease of operation are contributing factors to many incidents. It is the owner’s responsibility to know the rules and regulations applicable to snowmobile operation. The Snowmobile Operators Course is a program available to teach snowmobile riders the principles and behaviors of safe and responsible snowmobile operation. The Snowmobile Operators Course is mandatory for anyone under 16, unless you have had a snowmobile registered on or before 1997. Anyone under 16 must be accompanied by someone over 16, who has completed the Snowmobile Operators Course. (For more information regarding this Course please email jfpenney@ns.sympatico.ca). Check out our website for information on location and parking. Anyone under 16 must be accompanied by someone over 16, who has completed the Snowmobile Operators Course.